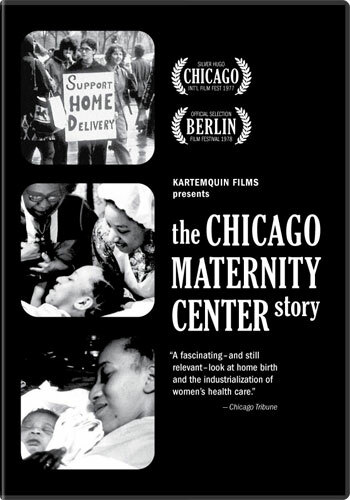 "The Chicago Maternity Center Story is one of the best political documentaries of the 1970s"
"It’s not a little distressing to see that the debates then remain the same, only with the costs more devastating. The documentary—so energetic, so right—provides heartening evidence of efforts by activists, filmmakers, and mothers to fight back." "A time capsule of wo­men’s health activism... the film rips the medical industry as sexist and capitalist." An important and powerful documentary about women battling corporate medicine to control their own bodies. Unfortunately, it is as relevant today as it was 33 years ago. "A fascinating - and still relevant - look at home birth and the industrialization of women’s health care." "A combative, devastatingly researched account of how American medicine has deteriorated since it became a multi million dollar business." "There are no frills to hide behind and there is beauty and pain in the realism of the film."